Start with a separate arrangement of a sofa and a coffee table. How much space can you allow to give? What kind of sofa are you planning to have? If you are shopping for both units at the same time, you will have plenty of room for the imagination. If you already have a sofa, you will simply have to find a matching coffee table. The thing here is not the exact dimensions but rather how naturally the pieces looks together. This is an even more important point you will have to think over. As a rule, a standard coffee table prepossess height up to 45 cm, which makes it perfect low standing unit for a standard sofa. If your sofa is higher, it is also possible to find a bit elevated tables with height of up to 53 cm. In any case, to ensure maximum comfort of usage, the table should stand either parallel to the sofa height or (preferably) be a bit lower. 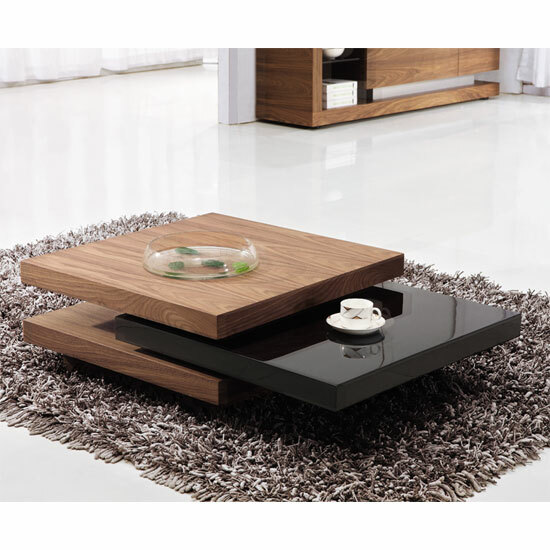 Another important tip on how to choose the right size coffee table is to consider your room shape. All in all, the best way to go is to look for models that feature approximately the same shape as your room. That is, if the room is square-like, the best idea would be to go with round or square table. If the room is distinctly rectangular, oval and rectangular models are usually great fits. This is, of course, not obligatory — just the matter of aesthetics. And, finally, while thinking how to choose the right size coffee table, do not underestimate the importance of production materials — that is, look for something that matches your room interior theme. Furniture in Fashion is one of the best UK stores that can offer you a gorgeous selection of coffee tables and other living room furniture. This leading e-commerce store works with a range of reliable manufacturers from the UK and Europe, which accounts for a very diverse selection of amazing quality products. At the same time, the prices are more than affordable, and the company regularly introduces generous discounts on top of that. Yet, one of the primary thing that makes this e-commerce platform different from the competition is that it offers prospective buyers a chance to visit a showroom in Farnworth and examine every furniture units personally rather than simply place their order online.